The UN established Champion of Earth award in 2005 to recognise outstanding environmental leaders from the public and private sectors, and from civil society. KOCHI: The Cochin International Airport Limited (CIAL) has been selected for the Champion of Earth Prize-2018, the highest environmental honour instituted by the United Nations. CIAL said in a statement that it was honoured for its successful execution of one of the revolutionary ideas of using solar energy which made Cochin Airport a first in the world fully powered by it. "This is the United Nation's highest environmental accolade and reflects your leadership in the use of sustainable energy," said a communique signed by Erik Solheim, Executive Director of the United Nations Environment Programme (UNEP). "As the world's first fully solar-powered airport, you set an ambitious example that we hope many others will follow," the communique addressed to the CIAL Managing Director V J Kurian said. The award, instituted in 2005 to recognise outstanding environmental leaders, will be presented at a gala ceremony on the sidelines of the UN General Assembly in New York on September 26. The awardees for 2017 include Chile President Michelle Bachelet, NASA's Goddard Space Flight Centre, world's largest bike-sharing app Mobike and Chinese afforestation community Saihanba. 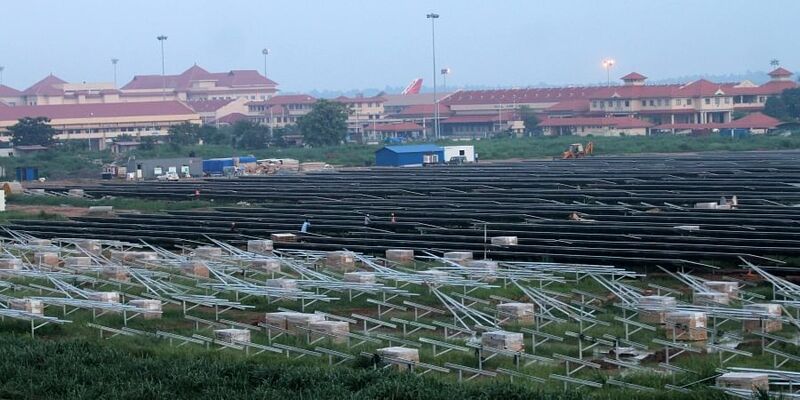 CIAL, the company which owns and operates Country's first airport built under Public Private Partnership mode became power neutral in August, 2015 with the commissioning of its 12 MWp solar power plant. It scaled up the installed capacity to 30 MWp by April 2018. Kurian said the UN recognition would transcend CIAL's green ideas to a global audience. "We showed the world that big infrastructure projects like airport can be put into operation fully using alternative energy sources," he said. By September 2018, the solar capacity at CIAL will be increased to 40 MWp, with a power potential of 60 million units per annum and resulting in a cost saving of approximately Rs 40 crore per annum to the airport, Kurian said. The airport stands fourth in the country in terms of international traffic and seventh in total traffic has handled 10 million passengers in 2017-18.